We live in a world full of advanced technology: global communication is a screen share or dial-in away, anywhere and at any moment. It seems as though these advanced capabilities should make our lives easier, but something is missing. Every interaction is becoming more conversational, perceptual and relational. Despite the fact we are interacting with each other, something often gets lost in translation when we speak to each other digitally. How can we bring back the context, so our everyday exchanges do not get lost in translation? Now with Callnote you can track and quantify emotions to get a complete understanding of verbal and nonverbal interaction. Emotive analytics is an interesting blend of psychology and technology. Our AI-based facial expression detection tool lumps human emotion into 4 main categories: Joy, Attention, Attitude and Contempt / Disgust. With facial emotion detection, we sense facial micro expressions by analyzing the relationship between points on the face. Simply defined, in the recorded video call we detect smiles, surprise, dislike, attention and drowsiness. So, you can see the conversation emotional results displayed in graphical format. The highly accurate machine learning algorithms have been trained and tested using Affectiva’s massive emotion data repository — the world’s largest emotion database with more than 6.5 million faces from 87 countries analyzed. 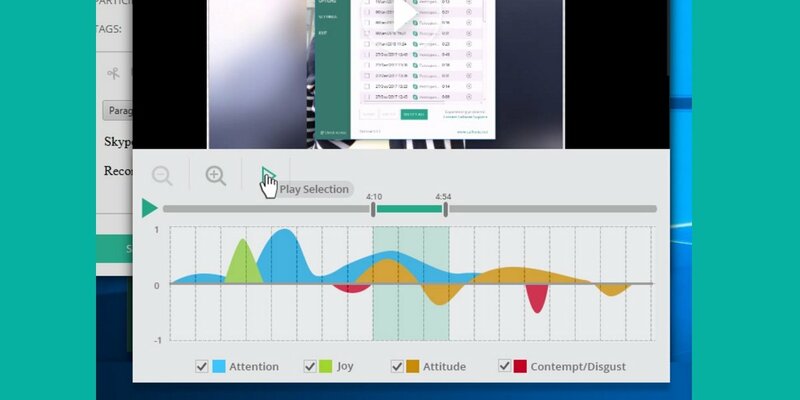 Analyze emotions feature is a FREE option for Premium and Pro users who are running Callnote on Windows PCs. There is no setup or integration required and you can use it with any video recording you made. Download or upgrade to Callnote Premium or Pro to get improved with emotion analysis capability Skype, Google Hangouts and Meet, Facebook Messenger, Viber, Facetime, Zoom, GoToMeeting and WebEx call recorder.